Over the last twenty five years Leckhampton Builders Ltd has grown steadily and gained valuable experience in building and renovation works for clients in the Gloucestershire and surrounding areas. This growth has intentionally been steady and measured in order that quality of service and workmanship can be maintained to the highest standards. We do not advertise in the traditional ways; quite simply, we rely mainly on the best form of advertising – that is, word of mouth. We take great pride in completing our contracts on time, to specification and most importantly – to the customer’s satisfaction. This pride in workmanship and attention to detail has resulted in a very successful business which has become well known in the local area for providing a reliable and value for money service. We only employ fully qualified tradesmen, to ensure that we can continue to offer the service on which we pride ourselves; it is our intention to provide a second to none service and we will always provide the staff to accomplish this. We are very conscious of safety issues no matter how small or large the contract may be; we ensure that safety of staff, clients and clients’ property is taken into full consideration at every point from initial planning through to completion. Regular checks are made on live contracts to ensure that safety standards are being adhered to and procedures followed correctly. 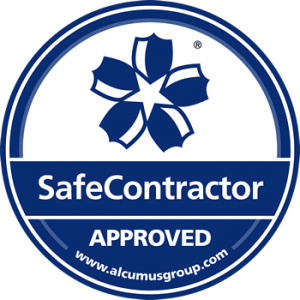 We are members of the Building Safety Group and Safe Contractor. As part of their services our sites are regularly audited to ensure we reach the highest standards of health and safety possible. 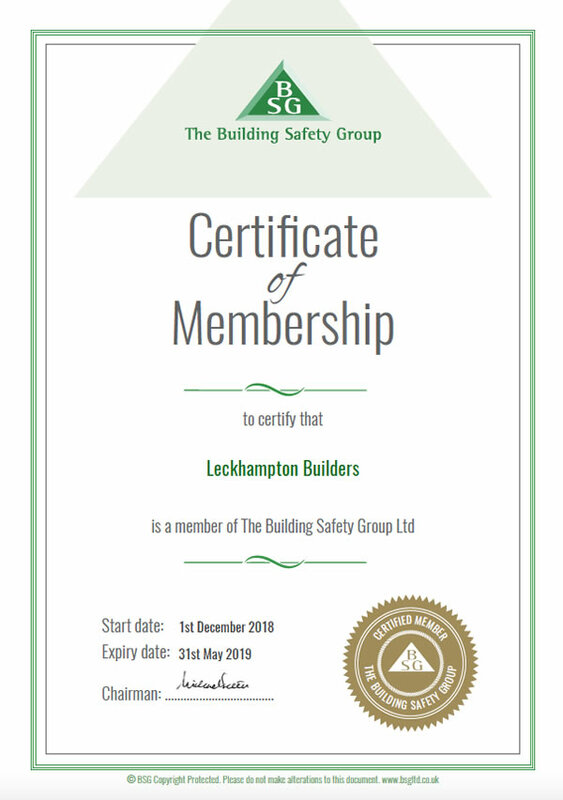 This also enables us to continually improve our risk management procedures to ensure the safety of our staff, clients and the general public on all of our construction sites. We have Public Liability Insurance cover to a value of £5,000,000 in addition to Contractors All Risks policies.